Paytm is offering Flat Rs. 100 Cashback Shopping on Paytm for Rs. 125 or more. Under this Offer – Make a purchase of Rs. 125 or more and get flat Rs. 100 Cashback in your Paytm Wallet. Staring In November. 3. Verify your Mobile and Email Id. 4. Now Proceed to shopping categories. 5. Add your desired products in your cart. 6. Proceed to Checkout > Enter your Delivery Address. > Code only valid for new paytm users. > Code is valid through online payment modes. 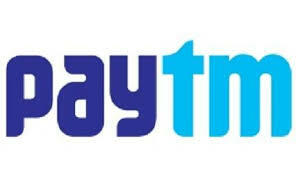 > Cashback will be credited within 24 hours of the transaction into user’s Paytm Wallet. > Each code comes with a validity of Onetime use per user. > Code should not be applicable on any non-marketplace transaction. > Code should not be applicable on gift cards. Comment Below if you have any problem regarding this.